The visual artist spent three years on this incredible project. 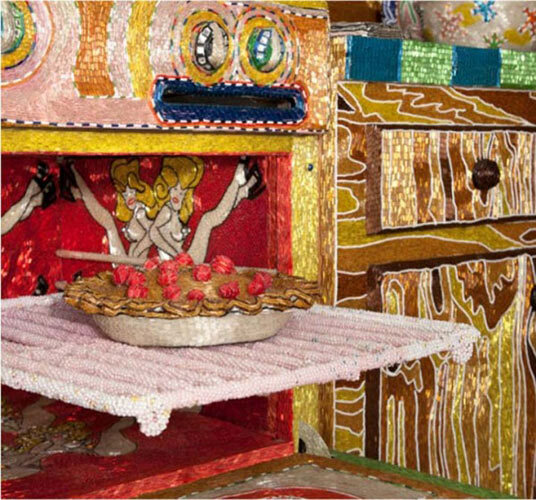 Over a period of five years, South Africa-based artist Liza Lou created a full-scale replica of a kitchen with every element covered in millions of hand-glued glass beads, which she applied with a set of tweezers. 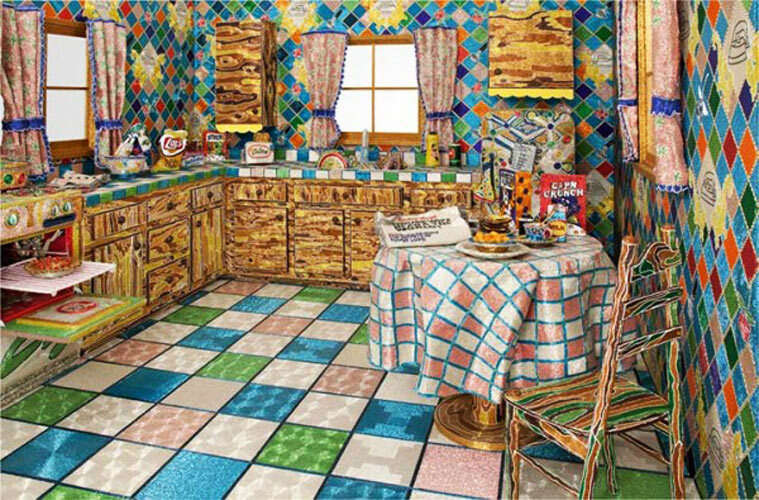 This includes a table covered with cereal, a pie sitting in the oven, a package of potato chips, dirty dishes in the sink, and the cabinetry facade. Lou worked on the project from 1991-1996, then immediately started on a backyard picnic set (with 250,000 bead-covered blades of grass). 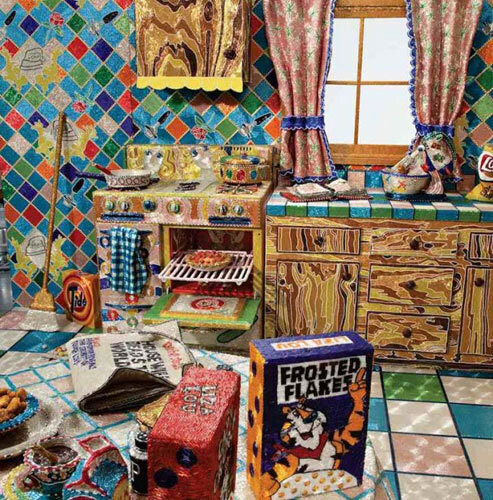 She displayed the works of art—which she used a total of 30 million beads to create—at the Santa Monica Museum of Art. 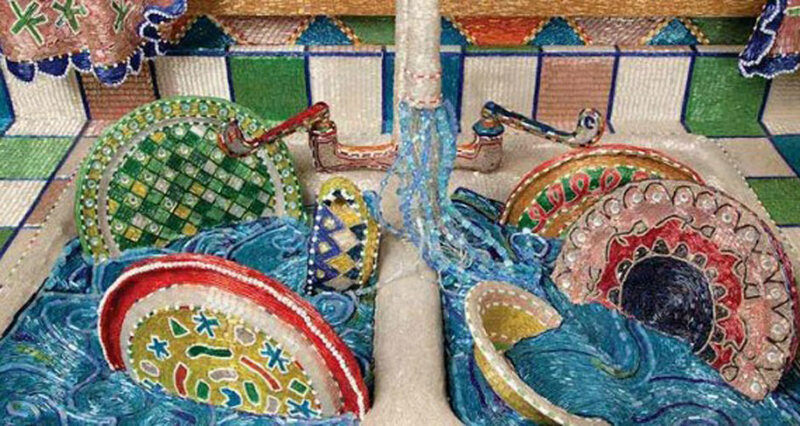 Liza Lou was born in New York, but lives in South Africa, where she collaborates with zulu artisans who have worked with bead art for generations. All photos courtesy of Liza Lou.